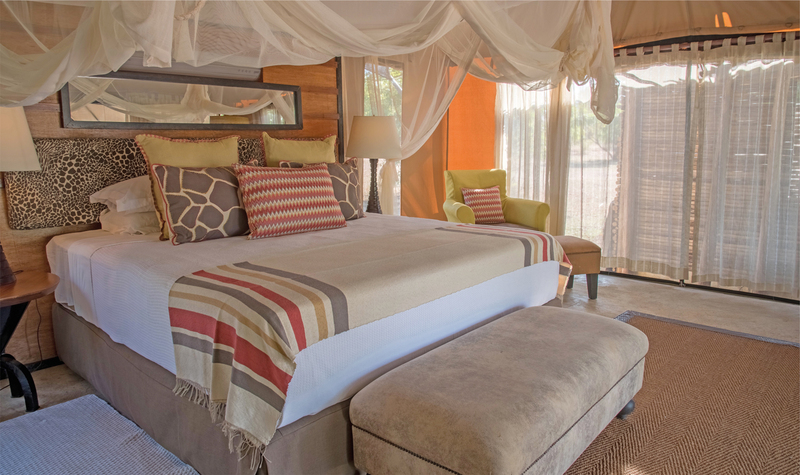 For the ultimate intimate getaway there is no better venue than Azura Selous. The exclusive property with only twelve villas gives visitors a memorable experience and certainly pulls out all the stops for honeymoon couples. Set deep in the lush reserve which is a UNESCO World Heritage Site, it is accessible by charter plane. After a short scenic flight from Dar Es Salaam the aircraft lands at Sumbazi airstrip which is only 5 minutes away from the camp. Guests are welcomed with refreshing hibiscus tea and cool towels directly after landing. The special treatment continues for the honeymoon couple who are welcomed to their villa with a bottle of champagne from the owners vineyard. Villa Twiga is set slightly apart in order to ensure privacy for honeymooners. It is the most spacious and luxurious villa on site. There is a relaxed undercover deck with sun loungers above the swimming pool overlooking the river. An outdoor shower shaped like a rock waterfall as well as a generous bath outside perfectly positioned for river views. On oversize bed draped in netting and personalized mini bar completes the plush setting. The butler hosts are available round the clock to tend to guest needs. 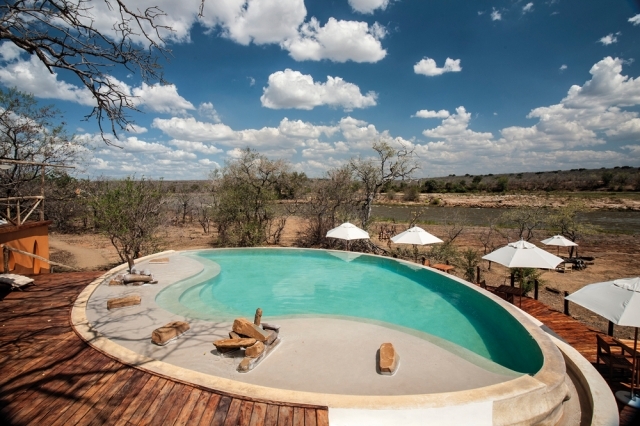 When ready the couple can explore public areas in Azura Selous which overlook the swimming pool and have spectacular views of the nearby Great Ruaha river. These include a spacious lounge as well as a dining room and trading store filled with local crafts. 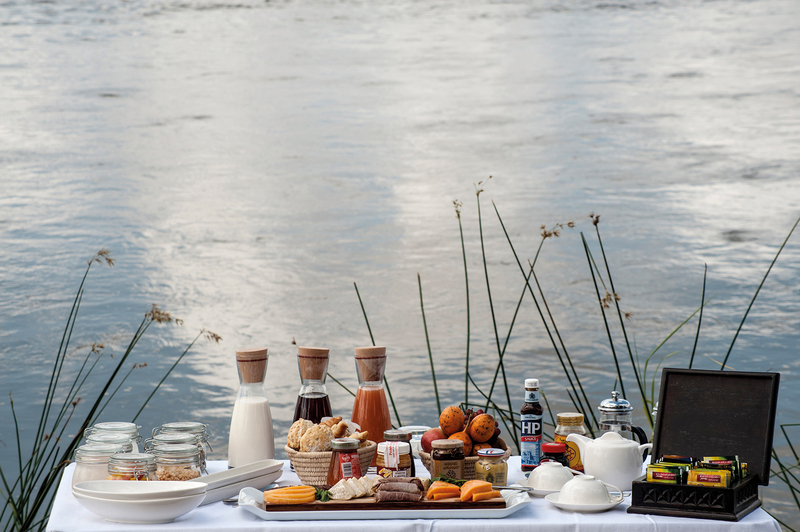 Unlike other camps Azura Selous does not insist on guests dining together. Meals are served whenever the honeymoon couple choose. The staff take pride in ensuring that guests do not dine in the same venue twice. From al fresco breakfasts served during morning game drives, gourmet picnics for lunch, open air dinners in the bush to private dinners for two in the villa there is a world of choice for dining options. 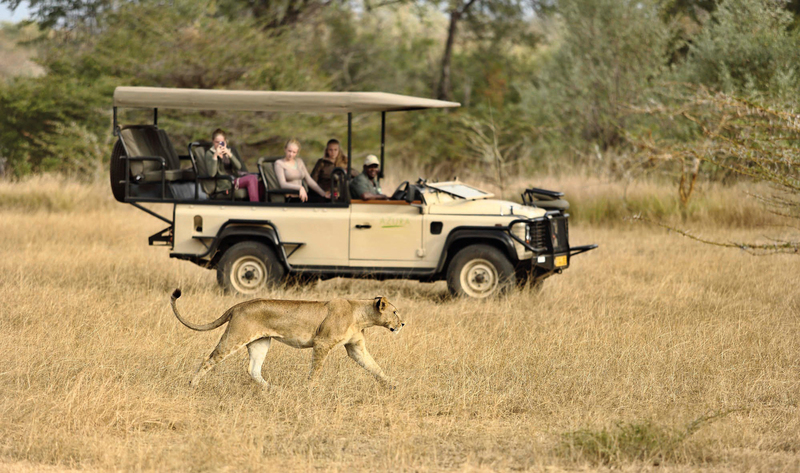 Set in the largest reserve in Africa the property offers many opportunities to see wildlife up close. Honeymoon couples get private game drive in customized open Land Rovers. There are no limits on the duration or distance of game drivers so the ranger can take time to track down whatever game is around. 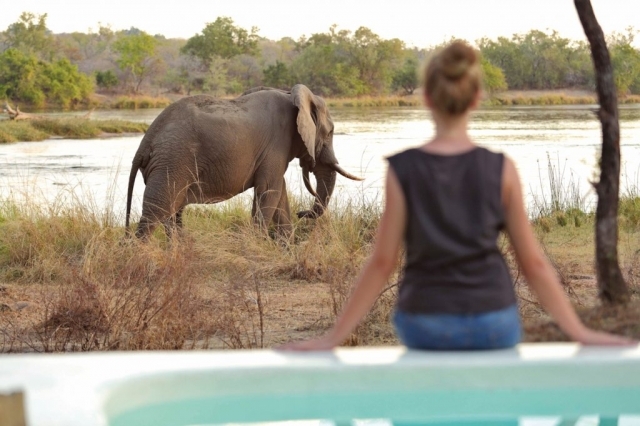 Sightings of elephant, lion, buffalo, hippo and wild dog are common depending on the season. Walking safaris offer a look at the plant life and smaller creatures including birds, they also offer the opportunity to spot the larger animals from up close. Boat rides, fishing and guided star gazing are other activities on offer. For relaxation there are massages or treatments on the deck using organic African products incorporating Marula and Baobab oils.